The event was held to honour world recognised comedians and entertainers for their contribution to the art of comedy and their global impact on the world. Veteran actor Anupam Kher says he was more than happy to represent India at the Legionnaires of Laughter Awards here. 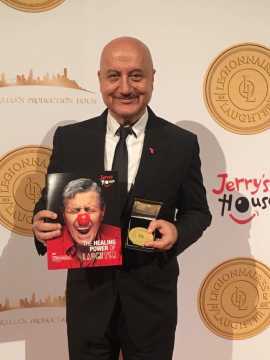 Kher, who has lit the United Nations building in preparation of International Day of Yoga (21 June), took to Twitter on Tuesday to thank American actor Jerry Lewis for inviting him to the event. "Thank you Mr Jerry Lewis for inviting me to Legionnaires of Laughter Awards night in New York. 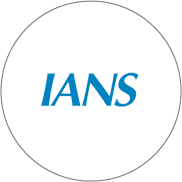 Happy to represent India at this prestigious event," Kher tweeted. The event was held to honour world recognised comedians and entertainers for their contribution to the art of comedy and their global impact on the world. It was hosted by actors Colin Mochrie and Brad Sherwood. 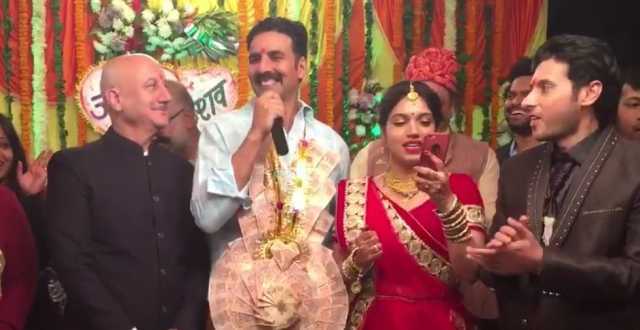 On the movie front, Kher will soon be seen in Toilet: Ek Prem Katha with actors Akshay Kumar and Bhumi Pednekar. 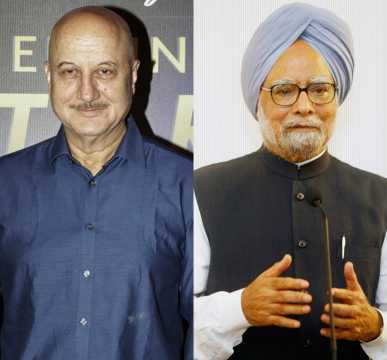 The actor is also prepping for his next The Accidental Prime Minister, where he will be seen playing the role of former Indian Prime Minister Manmohan Singh, written and co-produced by Hansal Mehta. 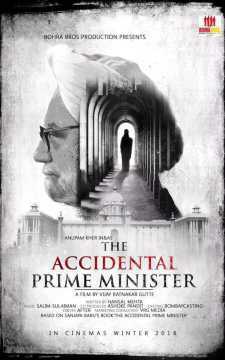 The film is based on the 2014 memoir of the same name by Sanjaya Baru.